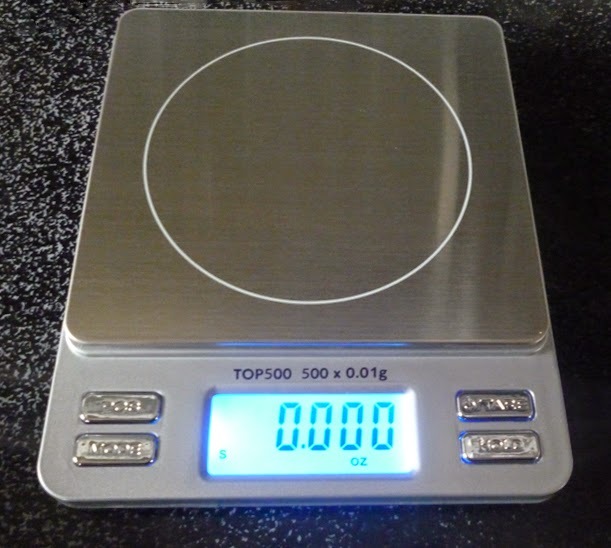 I recently found myself tempted to borrow my husband's postal/kitchen scale for a recipe I wanted to try. The only problem, my husband is a falconer so his gets used for measuring raw critters to feed to his birds who occasionally let loose excrement on the scale. Yeeeeah I appreciate the gesture babe but no thanks. When an opportunity came to try this scale out I figured it was perfect. I don't need the portability factor so much but the size makes it easy to store in my tiny kitchen. It has two nifty lids that keep it covered and can easily be used to hold objects being measured in a pinch. It has several units of measurement available though I'll personally mostly need it for ounces (my husband could use it for grams for his falconry purposes). It's easy to switch between them all and if you need to use say, a bowl or measuring cup to hold the ingredient being measured it's also simple to tare. Since trying it out I think the TOP500 is just a bit too small for what I want to use it for but would be great for jewelry and light mail uses. For the price it's an excellent little unit and I would definitely recommend folks who need a small scale for their postal and food measurements check out the TOP2KG and TOP3KG. I can't quite comment on the long-term durability but these are small enough to easily fit in a purse or briefcase. I 💖 wash day! I've been 9 weeks #nopoo & while it has a learning curve I'm thrilled with the resulting changes. Just added the #LuxeBeautyEssentialsMicrofiberHairTowel to my routine this week. So soft, dries my hair faster than a regular towel, & totally affordable. Product Details: The Luxe Beauty Essentials Plush Microfiber Hair Towel is soft and gentle made from brushed terry, yet super durable and absorbent. Using our microfiber hair towel will drastically reduce the time needed using hair dryers, therefore reducing the damage caused by these products. Save your hair! Buy our Microfiber Hair Towel Today, and rest assured- customer satisfaction guaranteed. Love it or your money back! Deluxe Size 19 x 39 inches is large enough for long thick hair. At 10 weeks into a no-poo regimen I have fallen in love with this luxuriously soft hair towel. I'd heard of them before but never thought to invest in one. But with my hair care routine changing I noticed a bit of post-drying frizz that was just unpleasant. Not only has this dramatically speeded up my routine by reducing dry time it is so very gentle. The only thing I don't like about it is the length. My hair is very long and about 4" of it isn't covered. If your hair hits mid-back or longer you may find it's a little on the short side for you too. (I honestly don't think that's likely as I am very tall and thus my measurement is a bit skewed). If you have curly hair I think this would be an excellent investment into your hair care, it definitely cuts back on the roughing up factor terry cloth tends to cause. I have straight hair and love it too. Blog specific notes: It's been several weeks more since I originally wrote this review (for Amazon) and since then I've had a hair cut AND dyed my hair (at home). I'd planned to get another photo of myself with the towel but guess what I got on it? Dye! *chuckle* Ah well. I love it still. Definitely cuts down on dry time which is important for me because I only blow-dry when I absolutely have to because I'm leaving the house in our very cold weather that'll start in about a month. If you're doing the no-poo thing I think this is an excellent choice because of how gentle it is on the hair. During transition any friction would make my hair a rat nest. I've heard this is awesome for curls so if you are a curly girl and wind up trying it let me know! Earlier this year I had the pleasure of being contacted by a brand I'd worked with in the past and had a positive experience with, Viva Labs. I'd tried their oganic coconut oil and loved it. 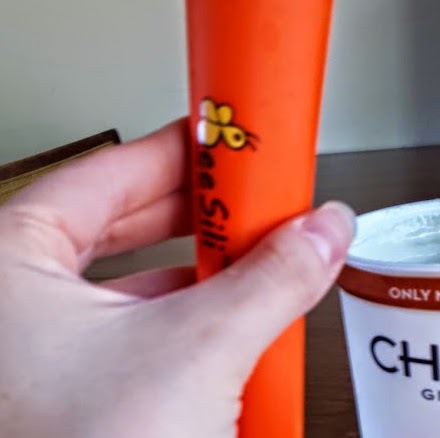 So when I was offered the chance to try some of their newest products I jumped at the chance since a couple were ones I'd been wanting to check out and another was one I was already trying to introduce into my health and wellness routine. I was already a fan of chia seeds so they were my first product I busted open to try. I'll admit that I compared them to the bulk bin ones I already had from the local shop I like for stuff like this and I honestly couldn't tell the difference. Since they were actually comparable in quality the only real difference was the price. The local stuff is a little less in cost but I would still recommend Viva Labs' product because it comes in a reclosable bag. They're excellent in smoothies and I love chia pudding! Next up I dove into the Maca because I'd read a lot about their hormone helping properties. Since undergoing sterilization last year my hormones have been completely out of whack and I've had crazy PMS and menstrual problems that I've never previously experienced. I found that it's rather nutty in smell and taste but that I honestly don't like it. Which means that it's one I hide in other foods to help me combat the hormone chaos. 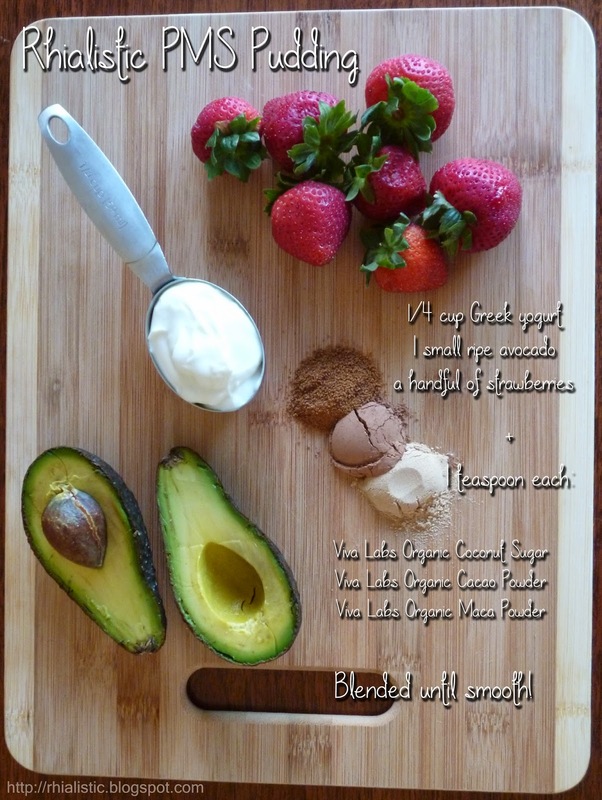 I found it hard to hide in smoothies but that when I make avocado-cacao pudding it adds only a subtle flavor that I can tolerate. I've been really happy with the results and will probably switch to it in tablet form if they ever offer it. The cacao was next as I am obsessed with cacao's health benefits right now. Every single time I use it I feel good! I notice that just a teaspoon added to a cup of coffee (I like mine black) helps even out the energy boost. But when it all boils down it's pretty much the chocolate at heart which means it's great added homemade nut milk—if you follow this blog you've seen that already—and my favorite, avocado-cacao pudding! I've tried other brands and been happy but this one is crazy smooth and doesn't have the bitter, burned undertones others have had. I highly recommend it. I jumped on the coconut sugar right away because I wanted to see if it tasted like coconut. Since I like coconut I wouldn't have minded but for those who don't you'll be glad to find out it doesn't! 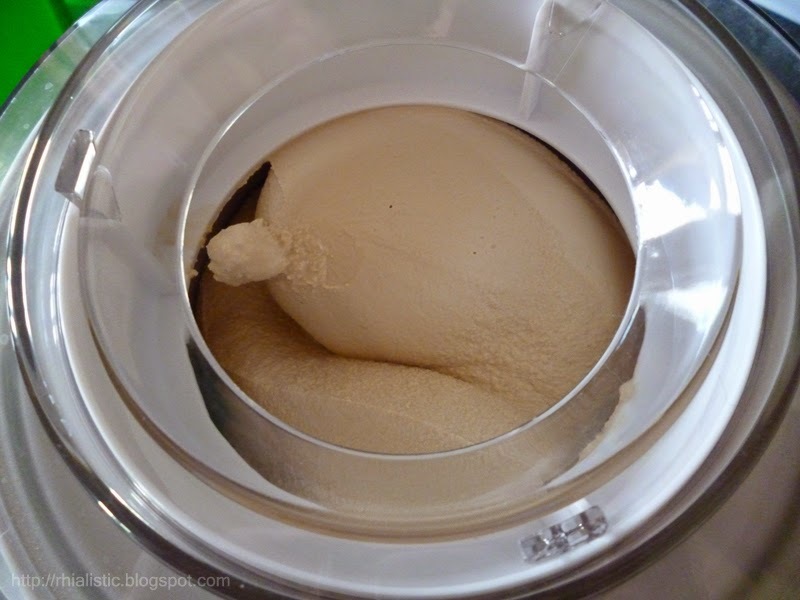 I used it in so many things like coffee, smoothies, and even with cereal but the biggest hit was homemade ice cream that was literally just 3 cups of heavy cream and 3/4 cup of the coconut sugar. It is one of the most delicious things I have ever eaten. I will be purchasing it a lot just to make this recipe. It gives a carmel-like flavor that is stellar. Lastly, I found myself stumped on what to do with the coconut flour. I've never worked with it before and most of the recipes I found weren't things I'd eat. Ultimately, I went with banana bread but found that it was way too dry, tasted like sand, and felt like eating sand. My recipe was obviously the problem because the flour is nice. It smells good and has a nice texture. I've been thinking I might try using it for making homemade popcorn shrimp or chicken. 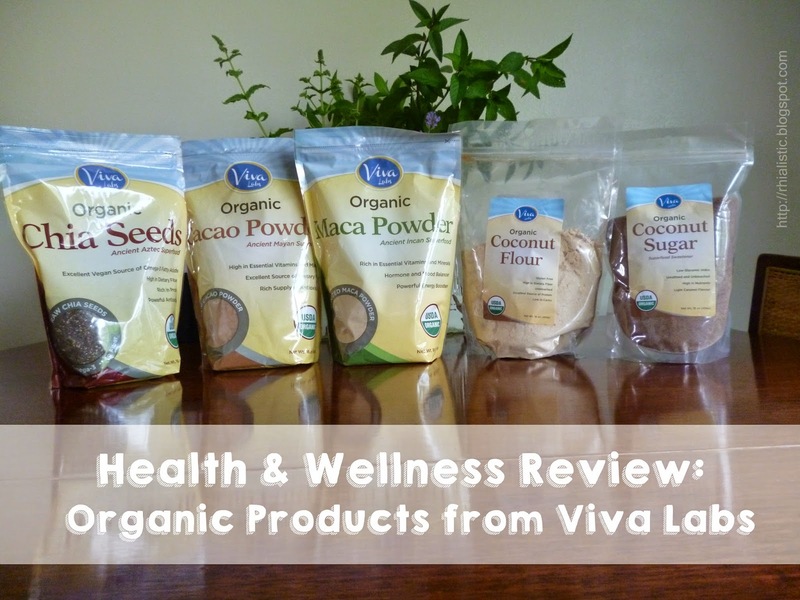 Overall, I continue to be really impressed with the quality of each product I have tried from Viva Labs and I hope to get to explore more of their wellness options, in particular their Optimal Greens and their Magnesium have caught my eye. Notes: I received a sample pack of products in exchange for an honest review. All opinions here are my own and were not influenced by the complimentary nature of said items. Product Details: TOP RATED MATERIAL - Youphoria Yoga's top-grade, high density memory foam helps you stabilize your hands and feet during yoga poses or workouts but doesn't make you lose stability. This yoga mat relieves pressure points in various yoga poses and offers much needed joint relief during impact workouts. This material does not wear like ordinary mats. Great for the long haul! ULTIMATE GRIP - Top-rated material also means performance where it counts and when it counts. The proprietary grip circles on the bottom of the mat keep it from sliding, even on the smoothest of surfaces. The top-side is built with a unique blend of grip, stability, and comfort, so your hands and feet won't slide. You can maintain balance, and the hard surface below you doesn't wear on your joints! ODOR FREE - Do you hate the smell of new yoga mats?! 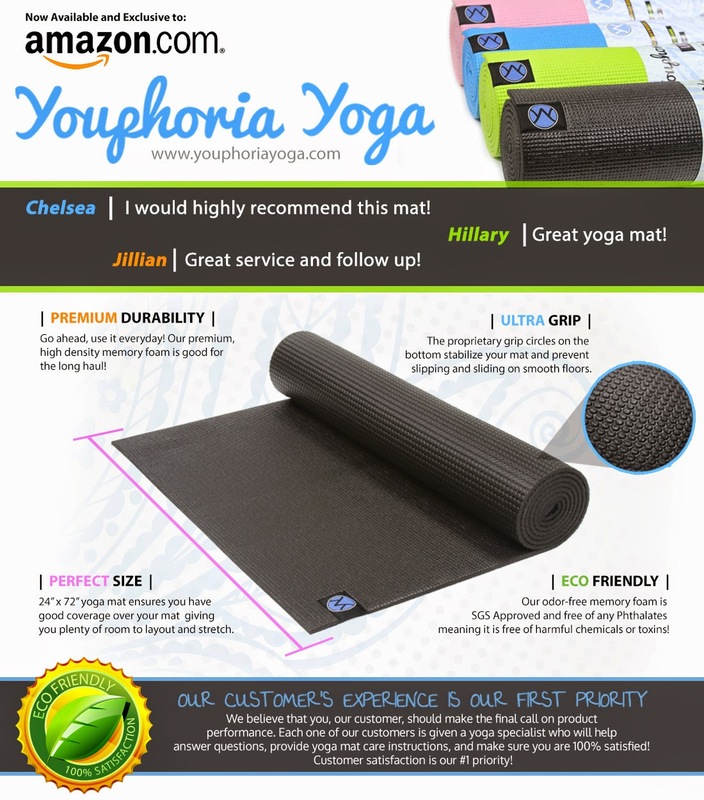 Our Youphoria Yoga Mat is not manufactured with any harsh chemicals meaning it shows up odor free and ready to use. You should be concentrating on your yoga practice, not the smell of your new mat! ECO FRIENDLY - Youphoria Yoga's high density memory foam material is SGS Approved and free from Phthalates. Meaning it is free of harmful chemicals and toxins making it safe for the environment and most importantly, YOU! LIMITED TIME OFFER: We are offering $27.99 (50% off) for the first 500 customers. Also, buy one Youphoria Yoga Towel and one Youphoria Yoga Mat and get $5.50 OFF your Total Purchase and Qualify for FREE SHIPPING when you ENTER CODE 1MAT1TWL at checkout! By nature I'm an extremely anxious person. It's embarrassing to admit it but everything stresses me out. From seeing a down vote on a review to realizing I'm out of milk the moment my preschooler wants a bowl of cereal. The last thing I need is more stress when it comes time to workout or meditate. But let's face it, picking a great mat can be challenging. My last mat was a cute hot pink leopard print, perfect for getting my mojo going for pilates but it was so thin and stunk so much when I first got it. It also began flaking right away. When I got the opportunity to try the Youphoria Yoga Mat in exchange for a review I was really skeptical. The brand was unfamiliar and they were so plain. But I was stoked to find a pure black mat that boasted an ecofriendly material and no odor so I figured it was worth my time to give it a test. I was absolutely blown away from the moment I ordered. I received an email from Youphoria thanking me for my order and telling me to check out their resources for stress relief, meditation practices, yoga poses, and deals on their website. The brand has a very friendly, helpful vibe that goes beyond the every day purchase experience. When the mat arrived I found it was even better than I'd anticipated. It's thick and plush, which made it perfect for my sensitive knees. Unlike other mats I've tried this one was long enough for me! I'm 5' 9" tall and often have trouble with mats long enough for plank and warrior, not so with this one. The grip is great and so far I'm having no flaking. I workout at home so it's not necessary for my need but there is an included carrying strap made from elastic loops and a braided strap. What I loved the most though was that there was NO ODOR when I opened it. While they usually wear off the strong odors of most mats are just too much. I wind up leaving them unrolled in a spare room to air out for a week before I can even use them. I loved the mat so much I went to see if Youphoria had any other yoga products cause I'm in the market for a power ring and a strap for my pilates workouts. Alas, they aren't offering anything like that but they do have a hot yoga towel. If they expand their line though I will definitely be buying from the brand again! 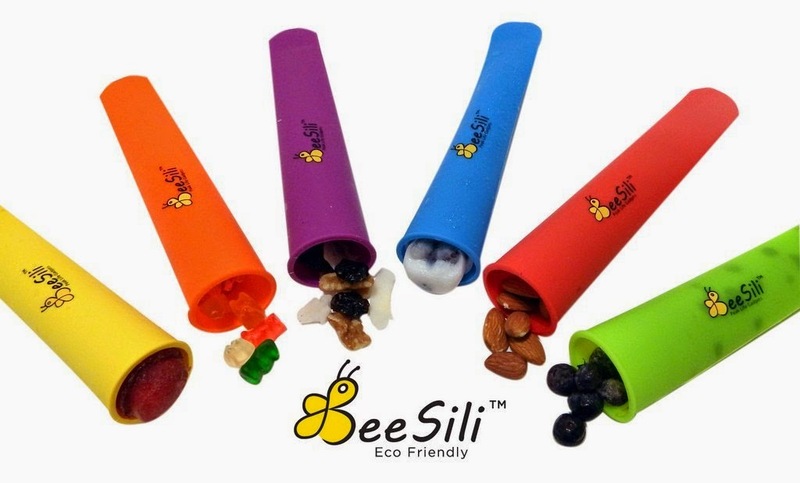 Product Details: It's Fun & Fast for Busy Families to Enjoy Healthy, Thrifty Snacks with Our Eco Friendly Silicone Lunch Box Containers & Ice Pop Molds! 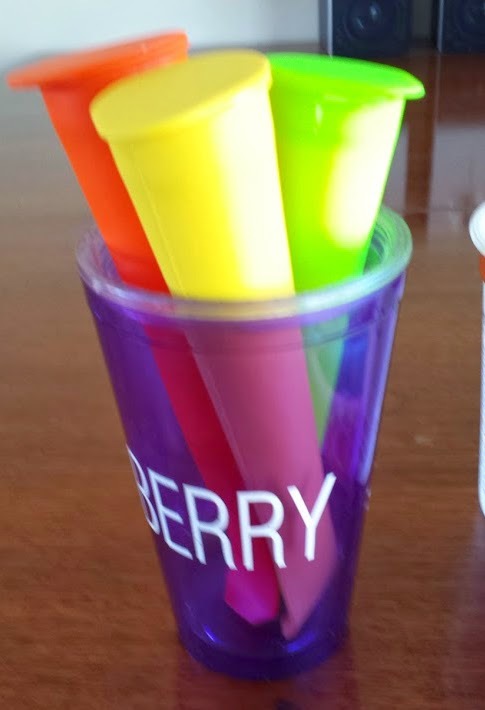 *6 ice pop molds stand up in a cup or glass for easy filling * Each mold holds 3.3 oz or about 1/3 cup * Leave 1" at top for expansion when frozen * Run warm/hot water over sides of frozen pop to loosen for easy push up * Let Your Imagination Run Wild * Fill pops: Left over smoothie mix, juice, jello, yogurt, pudding, coconut, almond or chocolate milk with berries, left over baby food, leftover sauces & more! * Adults Only: Margarita, pina colada, daiquiri mixes, jello shots & more? * Pets: On the go, travel snack keeper for your pet's treats * Keep snacks fresh: Nuts, seeds, dried fruit, granola, veggies, candy * Travel: Snacks, vitamins, Q tips, cotton balls, gum, mints * LOVE these bpa free, food grade silicone lunch box & ice pop molds as much as we do or we will refund you 100% for any reason, anytime! EASY to CLEAN * No messy drips, dishwasher safe logo and mold * GET YOURS TODAY!! If you're a bit crunchy and pride yourself on your frugal-living strategies you're probably a fan of great finds like this. My preschooler loves GoGurts and freeze pops. But I'm not a fan of all the plastic waste let alone the chemical dyes that those products are full of. 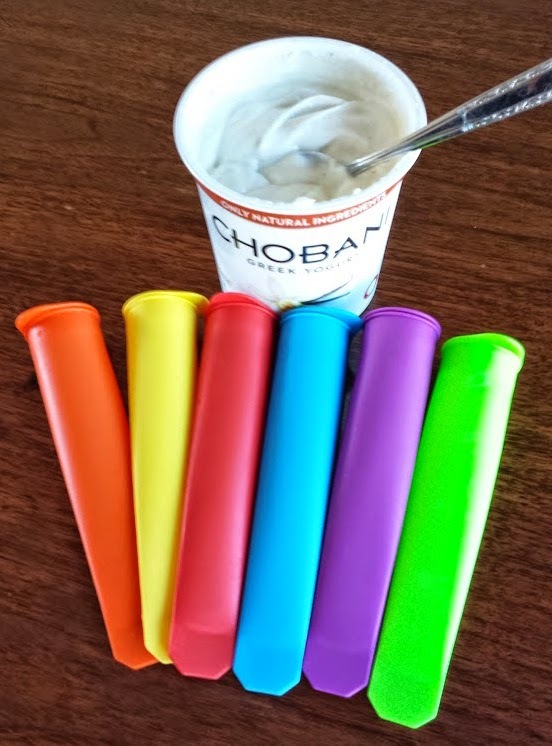 So when I got the chance to try out these reusable silicone tube-and-cap containers I was very eager to see what I could accomplish. These are super versatile which makes them an excellent find for the frugal and eco fan. You can get a big container of yogurt and add your own goodies to it like berries or jam to fancy it up then spoon it into these easily. They just need to be kept upright in the fridge (and in the freezing stage, you can turn them sideways once they're frozen). But they also work great for sending things like sunflower seeds or grated cheese for salad topping or small snack items like yogurt-covered raisins or trail mix. I'm very happy with these overall. They are very easy to wash, come in fun colors (I wish one was pink because that's my kid's fave but still...), and are versatile enough to make their uses pay for themselves over time. I'd recommend them to anyone who like reusable products for food storage and especially for those with kids or grandkids.